Lives may be lost if we do not meet up soon, and we mean it. Okay, most of you must already be curious about this name which keeps appearing in my shoutbox and whose photos have appeared twice in my blog. She. Is. My. Best. Friend. She's real (like me)....she's sumpat (like me)...very random (like me)...damn 搞笑 (like me)...cute (like me) and sibei chio (like me too!) 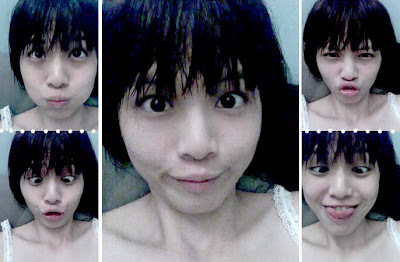 Plus she's not afraid to act silly (like me~~~~~) Need I say more? She's skinny. If my arms are flexible enough they could go round her twice. If I can just give her 30% of what I have, both of us would look P.e.r.f.e.c.t. My YES2009 Articles Are In TheStar! Which The Best Company In The World?